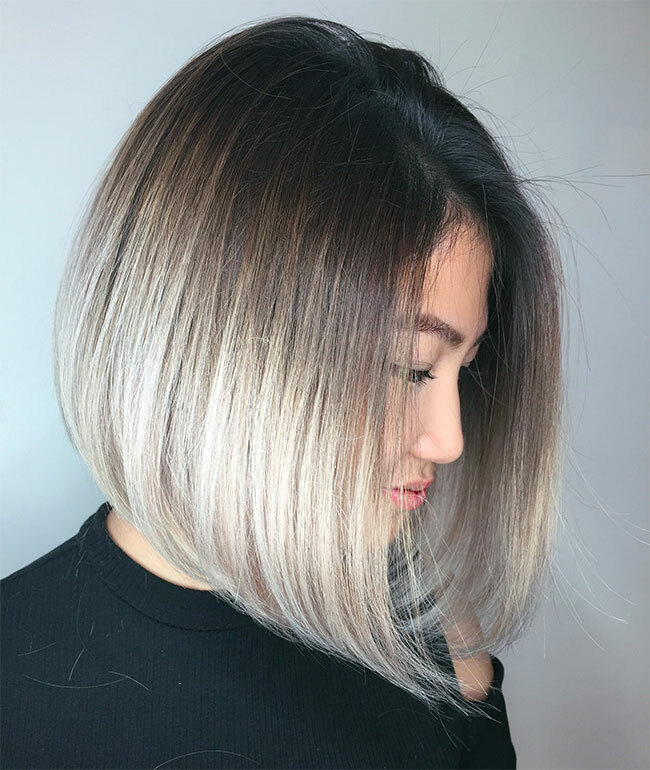 Most of your clients are still into the natural, low-maintenance look, and creating the perfect shadow root is a great option for these clients. Brush up on your blending skills with these tips from two of the best root melters in the biz. Justin taps the color just at the root to blend naturally with the highlights, which will diffuse any line of demarcation from the foil and create a subtler grow out. He then processes for 15 minutes and shampoos, making sure to hold the ends up as he rinses. Watch Justin’s entire process! To make fashion colors look as “natural” as possible, Chris Weber (@chrisweberhair to his 70,000 Instagram followers) tones the roots a shade darker than the rest of the hair so they don’t appear too vibrant. He used this technique on the purple shadow root seen here. When your client wants to see a big change that still looks organic, use this tip from Chris: On natural hair, go at least two levels darker at the root. So if your client is a blonde Level 10, use a Level 8 on the root. Don’t stop now. Here are 7 shadow root formulas we are obsessing over!